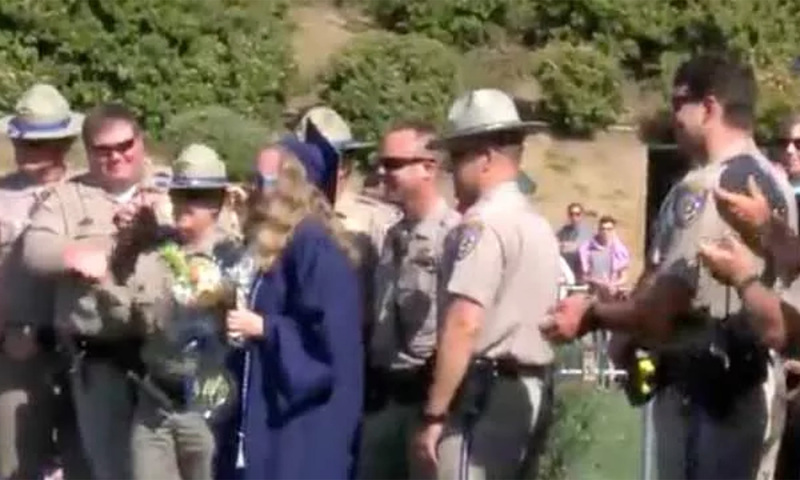 It was a bittersweet high school graduation for one California girl whose dad died in the line of duty. Sara Pedro’s father passed away years ago, obviously meaning he couldn’t be at her graduation. His presence, though, was definitely felt. “Her dad, John Pedro, paid the ultimate price patrolling the roads in Santa Cruz County when he gave his life and passed away serving our community. Sara was just two years old,” said Officer Sam Courtney of the California Highway Patrol.